That this happened in the prelude to Election 2020 should come as a wake-up call to Conservatives everywhere. At best—and for the longest time—Fox News has been only marginally better than the alphabet networks, and at worst, following those networks in footsteps that are a perfect match in size. In the first place, Brazile is no ordinary “Democrat operative”, she’s a former DNC chair serving that role in 2011 and again in July, 2016 to February 2017. “Brazile officially resigned from CNN on October 14, three days following a WikiLeaks email drop in which she appeared to have obtained some questions in advance of a town hall event and passed them along to the Clinton campaign. 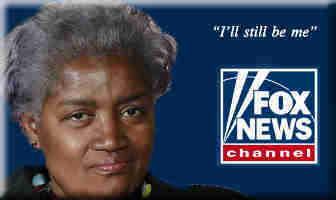 “From time to time I get the questions in advance,” wrote Brazile.